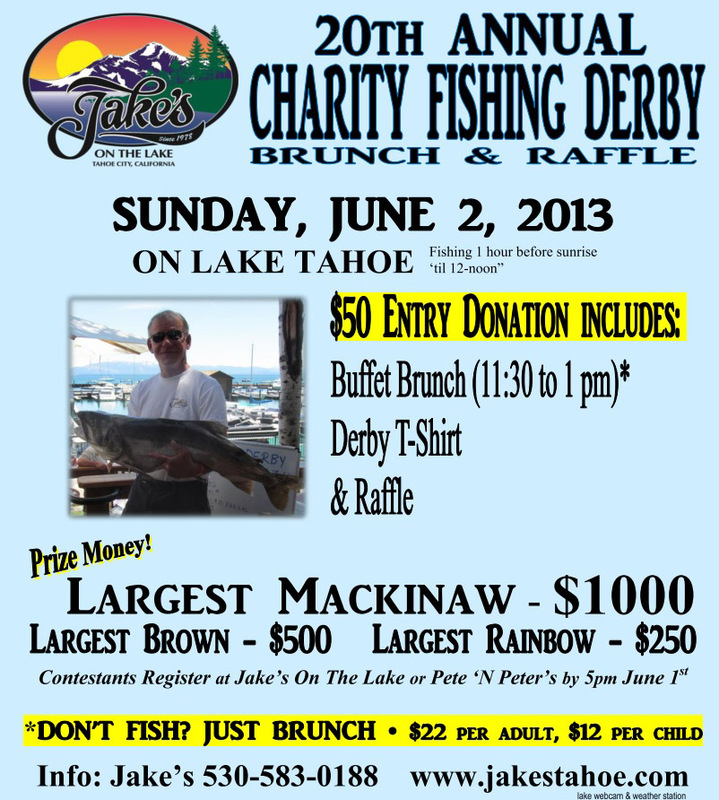 Jake’s On the Lake will hold their 20th annual fishing derby this Sunday, June 2. 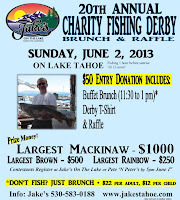 The derby benefits community scholarships and charities through the Tahoe City Rotary Club Foundation. Prize money for the biggest fish is over $1,500 dollars. The largest Mackinaw wins $1000, German Brown: $500, and biggest rainbow: $250. Weigh-in is judged in front of Jake’s lakeside deck. Biggest Mackinaw Trout: 26.32 lbs. Biggest Brown Trout: 4.76 lbs. Biggest Rainbow Trout: 4.36 lbs.